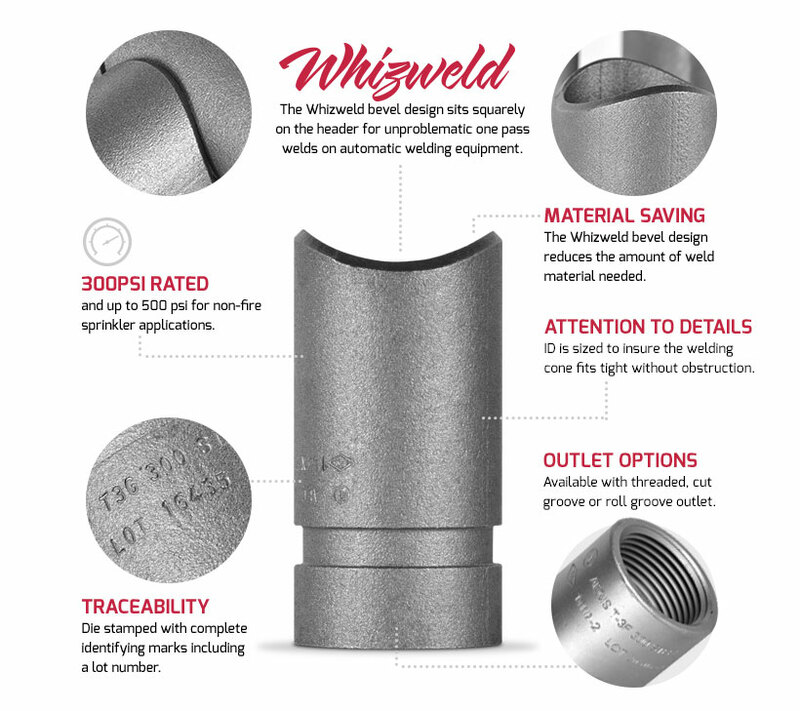 Easy to weld, the Whizweld Branchlet’s beveled design allows it to sit squarely on the header for uncomplicated, one-pass welds with automatic welding equipment. The inside diameter is sized to insure the welding cone fits without obstruction. The Branchlet is designed to save installers valuable time and material. The Branchlet is qualified to be welded on various proprietary thin wall flow pipe as well as industry standard pipe schedules 10 and 40. 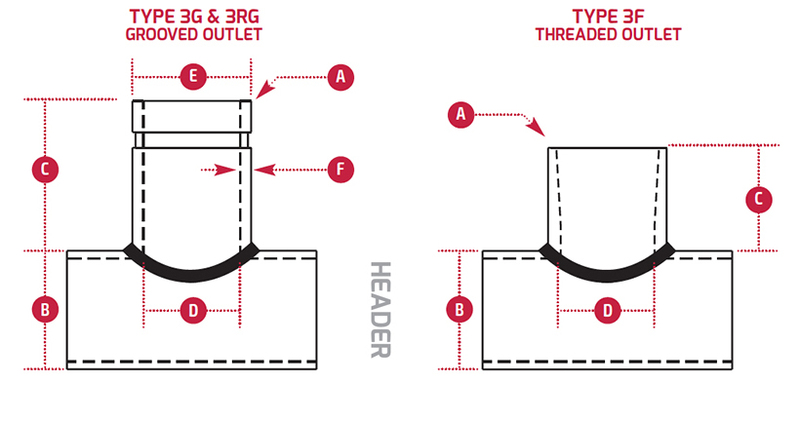 The Whizweld bevel design reduces the amount of weld material needed. Listed in accordance to UL 213B with qualifying tests up to 1500psi. Approved in accordance to FM Class 1920 with qualifying tests up to 1200psi. ﻿Manufactured from highly weldable carbon steel conforming to ASTM 1010, A-53, A135 or A795. The contour, threaded and/or grooved ends are produced on automated precision equipment for superior dimensional accuracy and quality consistency. ﻿Shot blasted and/or washed to reduce weld porosity thereby improving job quality and lowering fabrication costs. Coated with a proprietary smokeless non-flash rust inhibitor for improved shelf life. ﻿with complete identifying marks including a lot number for full material traceability and overall quality assurance. ﻿Outlets are available with ANSI B1.20.1 NPT threads (Type 3F) or Vic OGS cut (Type 3G) or roll (Type 3RG) grooves.